Hello again Cutting Edge Stencil friends! 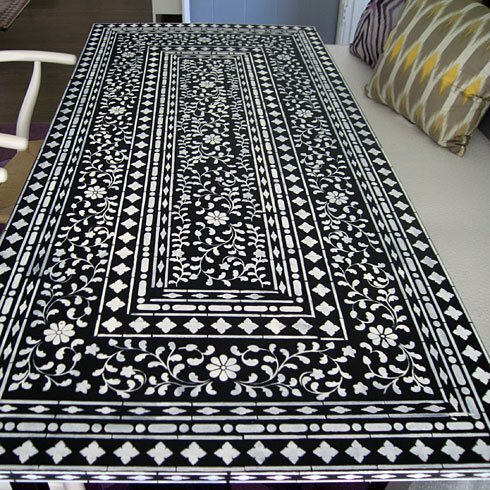 Want to step up your DIY home décor game? 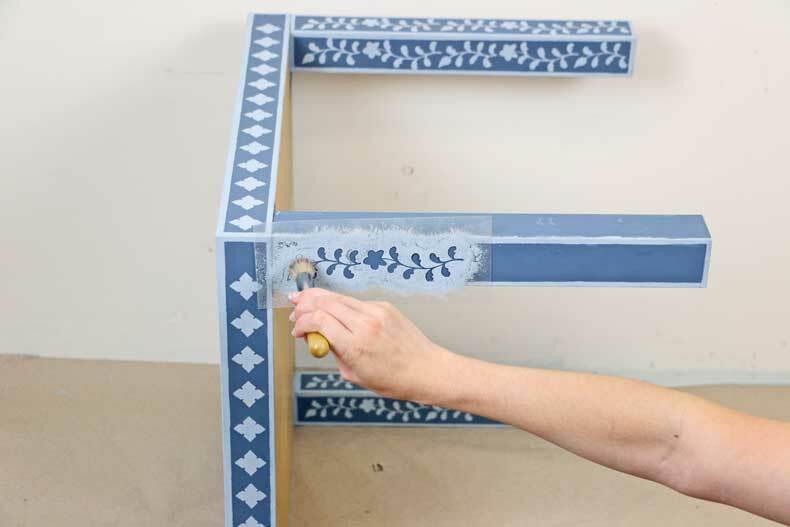 Inspired by Nifty, we have the perfect DIY stencil project that won’t break the bank! 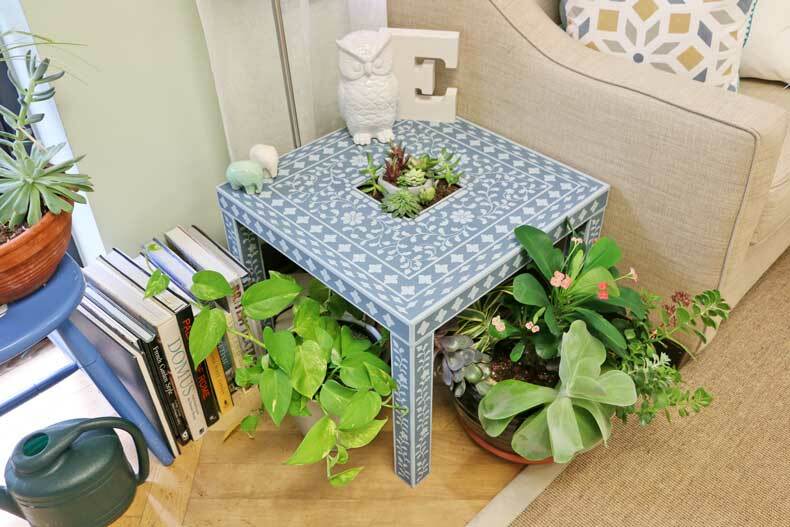 Using an inlay stencil kit, we transformed this inexpensive Ikea lack table into a beautiful upcycled accent piece complete with succulents. 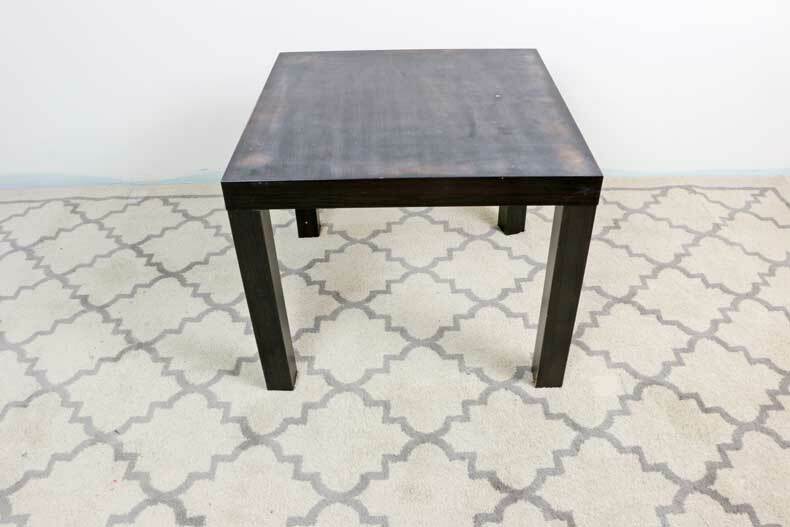 Let’s get stenciling! 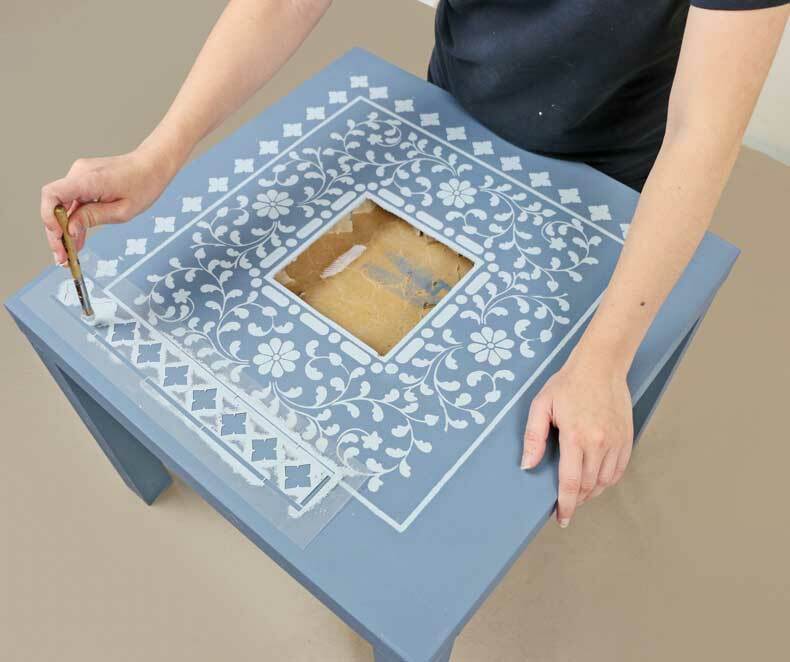 The stencil used for this DIY stencil project is the Indian Inlay Furniture Stencil Kit by Kim Myles. 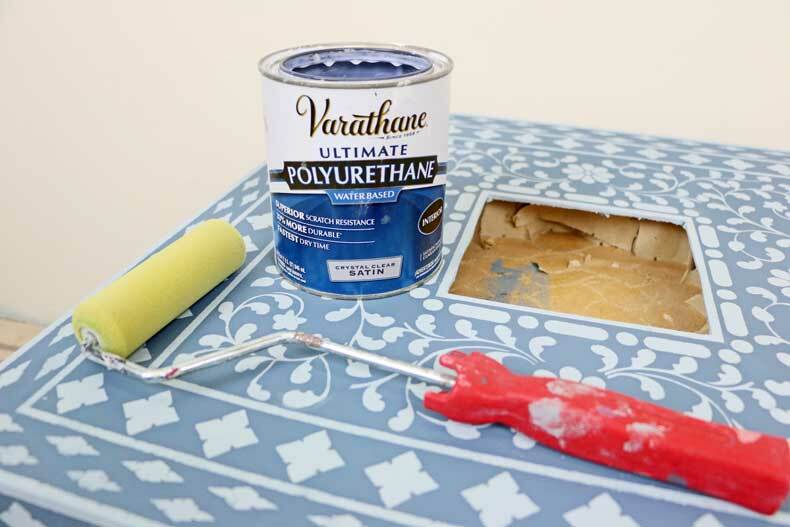 The paints used were Benjamin Moore Philipsburg Blue and Nantucket Fog. 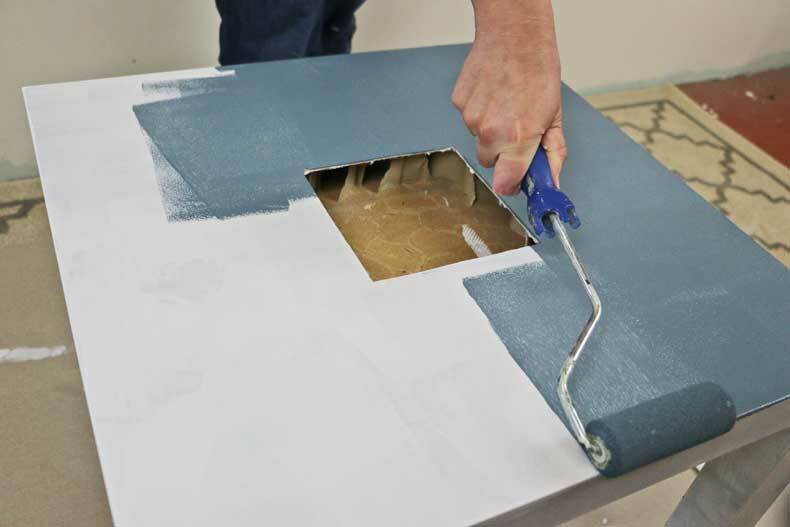 Spray adhesive is optional and can help reduce paint seepage but, is not necessary. 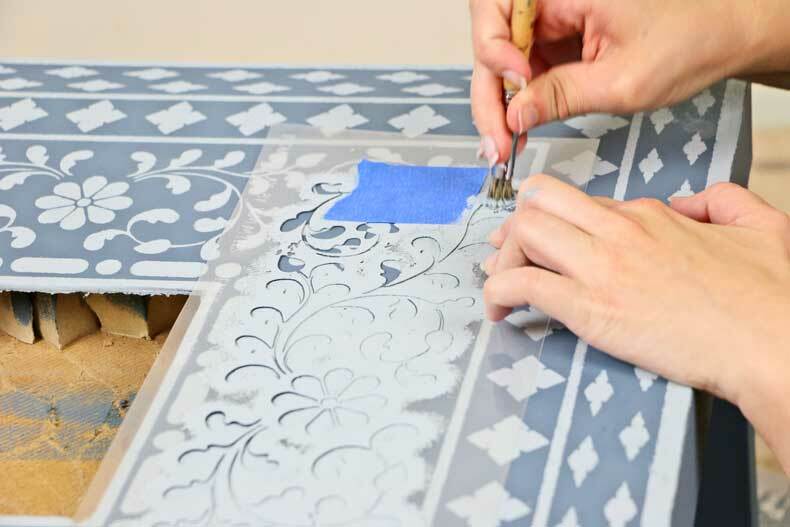 Because this stencil is all about the details, stencil brushes are ideal to pounce on the paint and help to create a clean, crisp design. 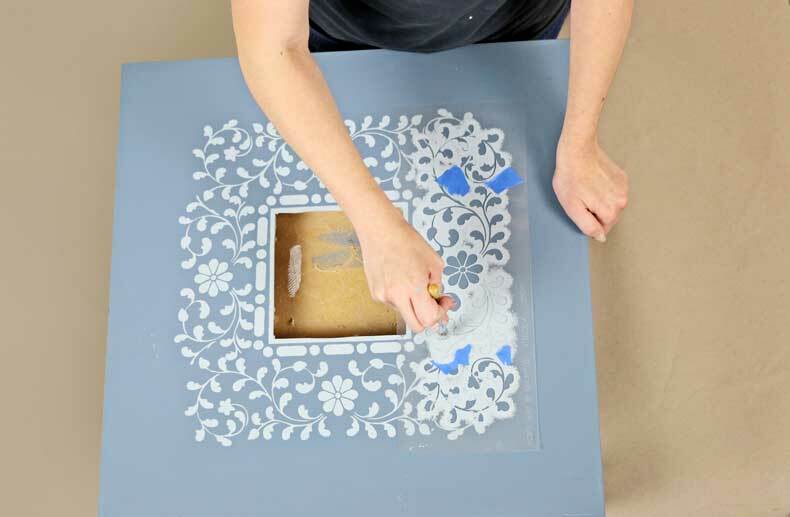 Although this stencil pattern may look intricate, it’s super easy to use and the finished product looks like a professional did it! 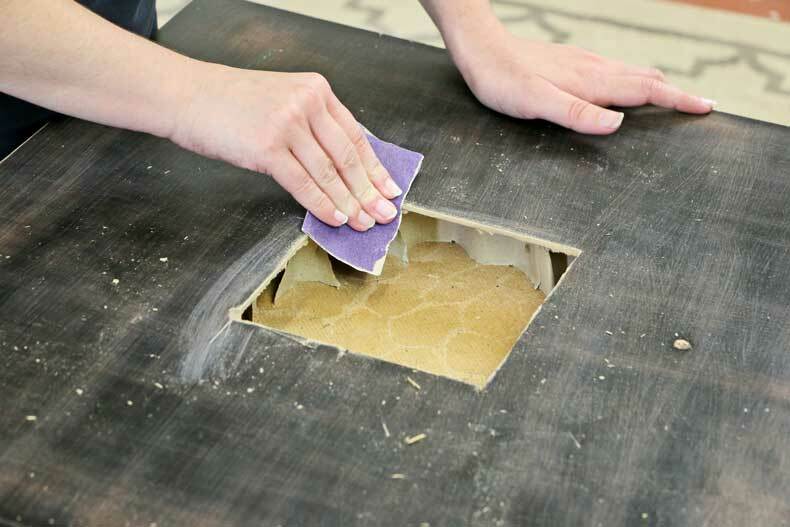 First, sand your Ikea lack table with 120 grit sandpaper to ensure a smooth, even surface. Next, decide how big you want to make the cutout in the middle. Pro tip: Buy your succulents or other decorative plants in advance so you have a better idea of how big to make the square opening. Locate the center of your table using a T-square ruler. 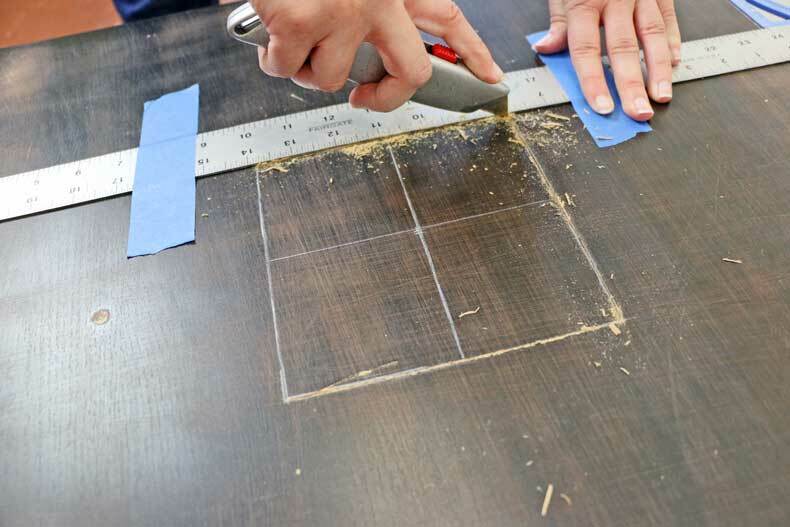 Make sure the T-square part of the ruler touches the edge of your table, so the line will be perfectly straight. Mark the middle of the ruler on the surface of the table and repeat the process on the adjacent side of the table. You will then know the center of the table. From the center, use the T-square ruler to draw four lines of the same length outwards towards each side of the table. Using those four lines and the T-square ruler, create a square. Now you can finally stencil the legs! 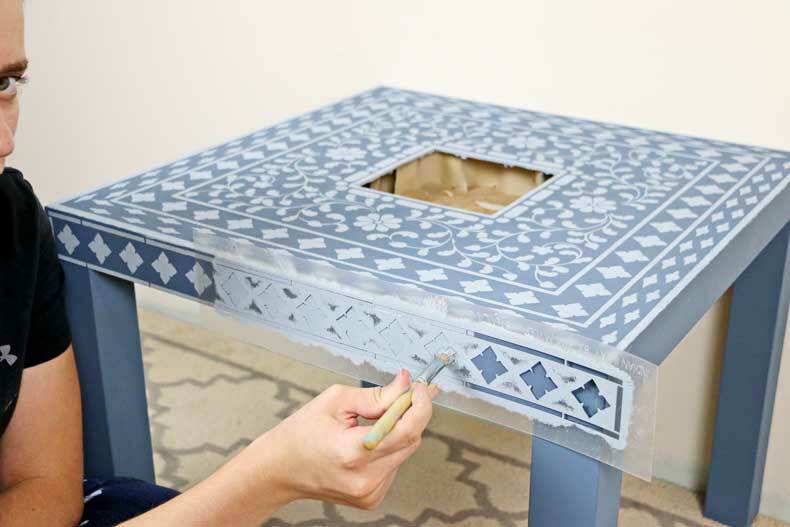 Flip the table on it’s side to make stenciling the legs even easier. 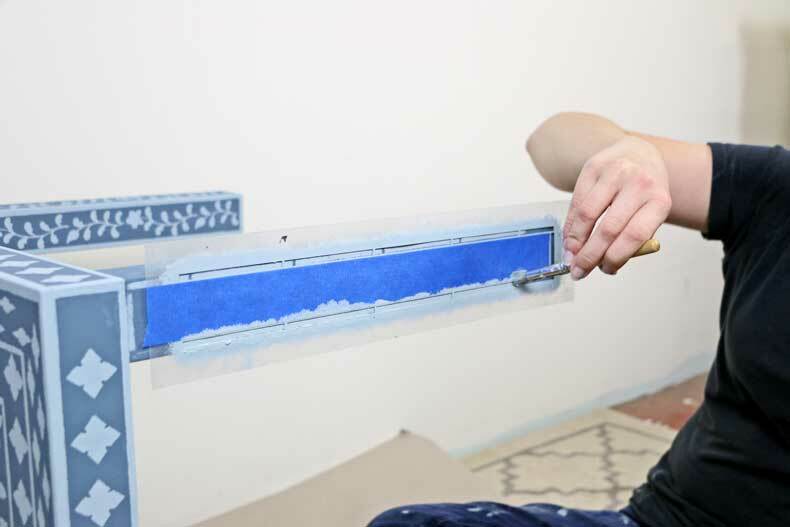 Pro Tip: If you want to stencil just a border, use a strip of blue painter’s tape to mask off the entire middle portion of the stencil. 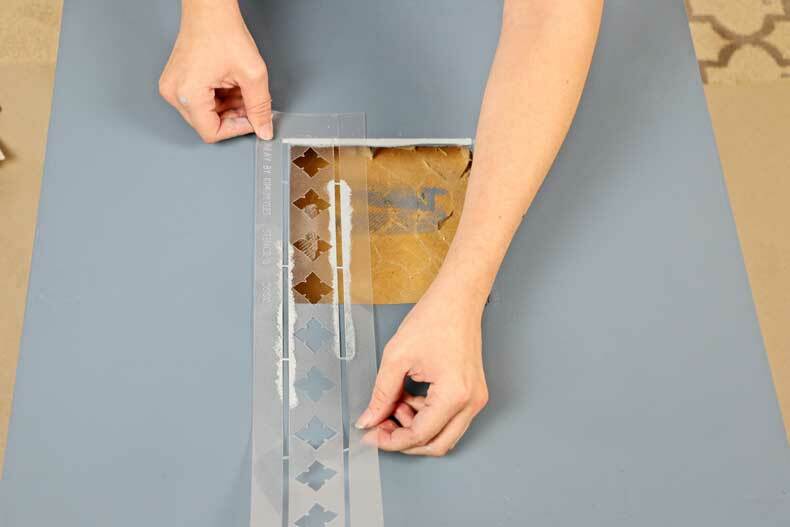 This will allow you to stencil the border in a breeze! 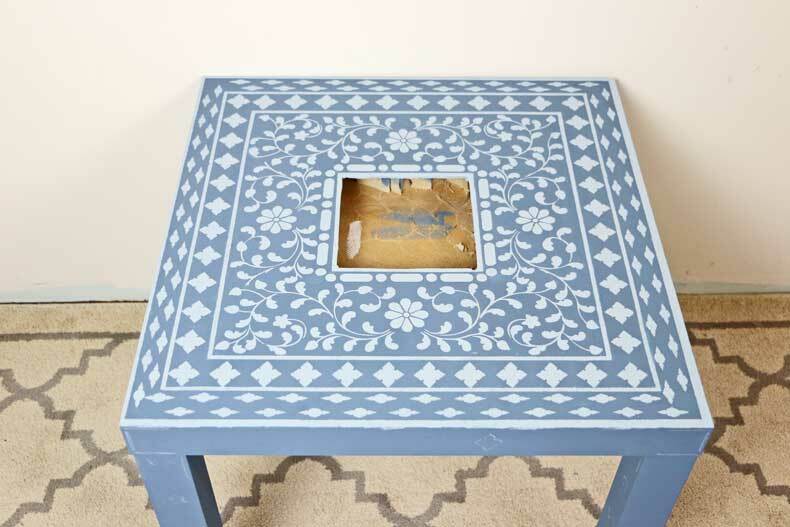 Finish off the legs to complete the stenciling portion of this gorgeous DIY upcycled project. 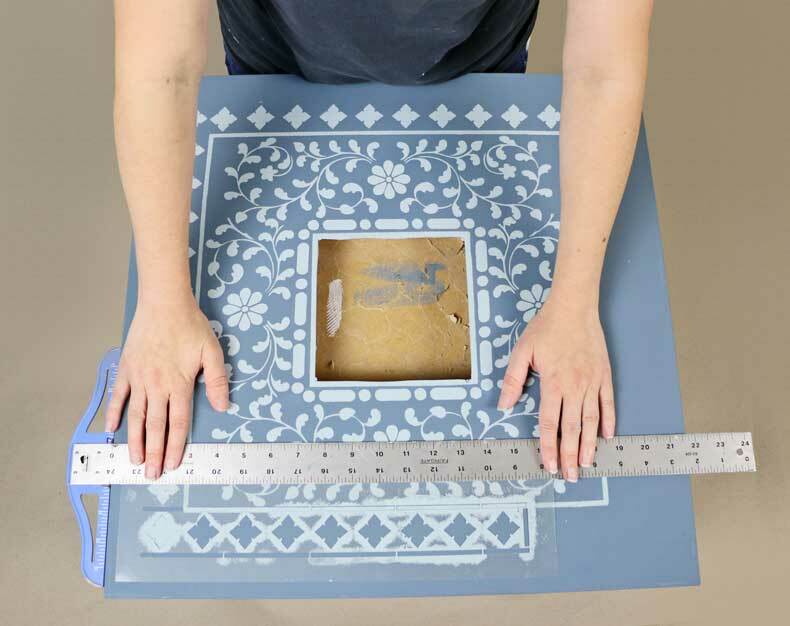 Seal your amazing DIY stencil project with two coats of water-based polyurethane. 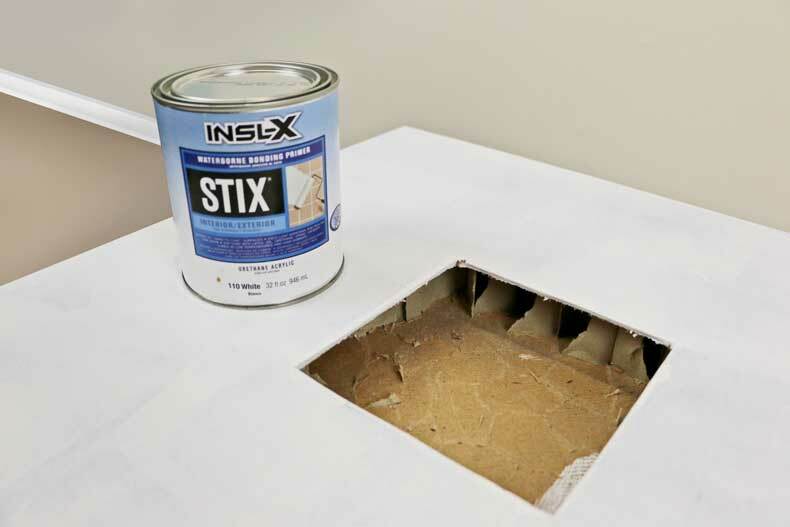 This will help to keep your upcycled Ikea lack table from being scratched or damaged from spills! Check out our Cutting Edge Stencils Facebook Pageto see our beautiful customer photos and interact with the people who created them. 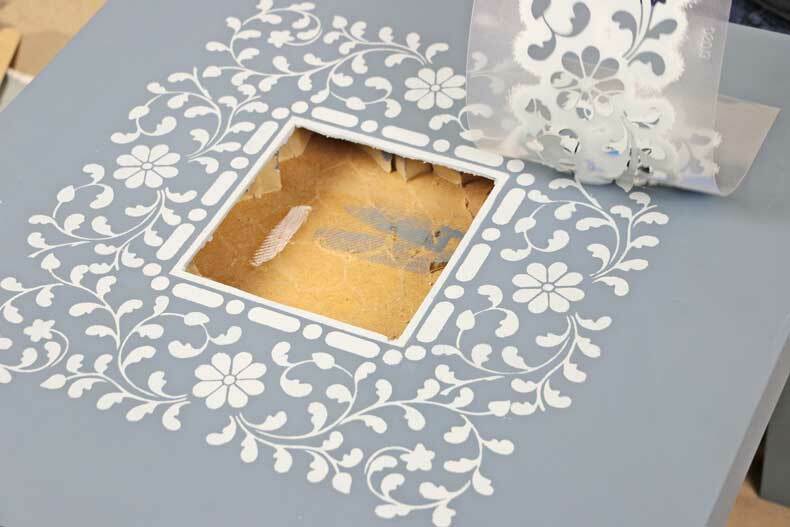 Buy our Furniture Stencils for your next stencil project, and browse our other wonderful stencil designs. 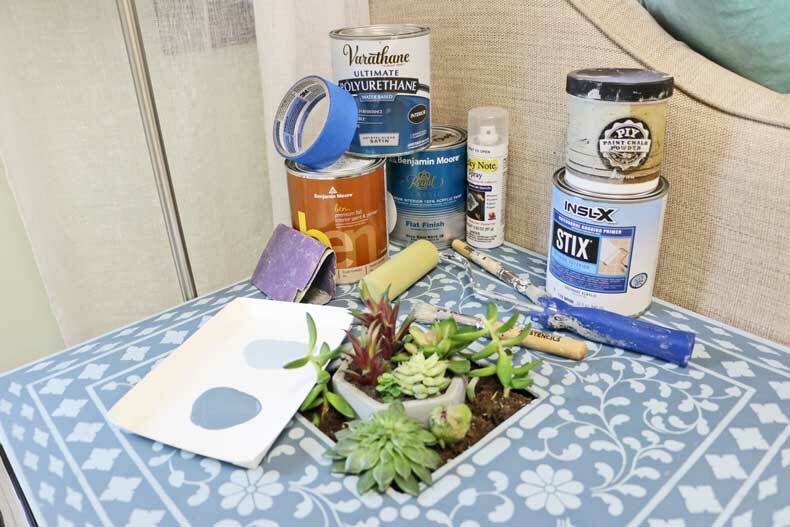 DIY Bathroom Makeover Using Stencils! Stencil Sightings In Home Decor Magazines! DIY Magazine Paints the Town With Stencils!